Categories: Bookcases & Cabinets, Gillow, New stock, Regency & William IV 1810 – 1840. 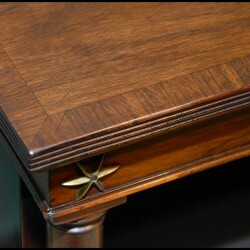 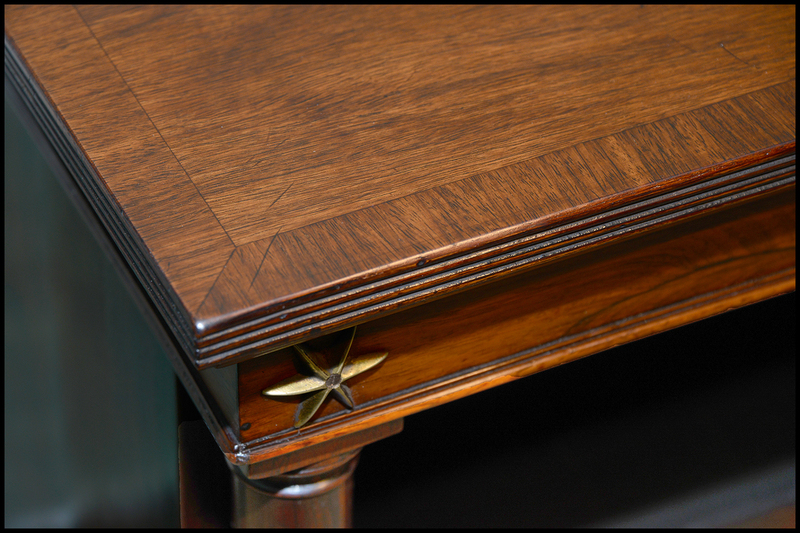 The rectangular crossbanded reed edge top over a plain frieze with brass star decoration and column mounts with two adjustable shelves; raised on gadrooned bun feet. 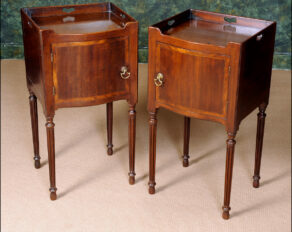 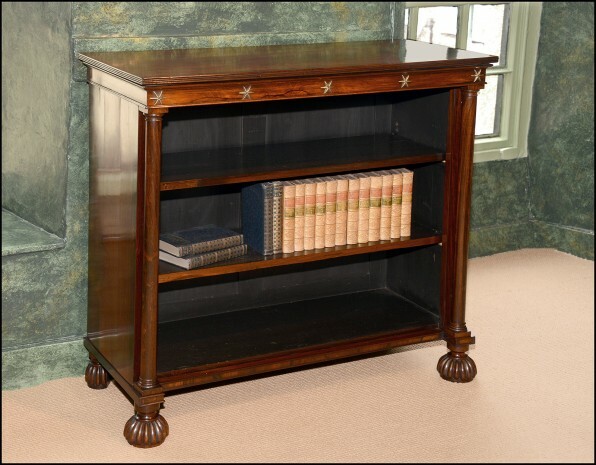 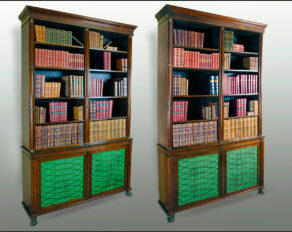 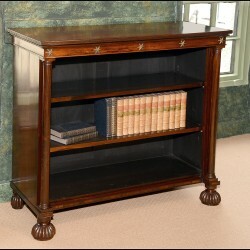 A fine pair Regency period rosewood and brass inlaid library bookcases circa 1810.